Taiji Ishimori spoke to NJPW1972.com ahead of his title match at G1 Supercard. Taiji Ishimori is scheduled to defend the IWGP Junior Heavyweight championship at the G1 Supercard against Bandido and Dragon Lee in a triple threat match. He spoke to NJPW1972.com recently about the match and his reign as champion. Ishimori defeated KUSHIDA for the title at Wrestle Kingdom this year inside the Tokyo Dome. Since that time, Ishimori defeated Jushin Liger at the NJPW Anniversary show. 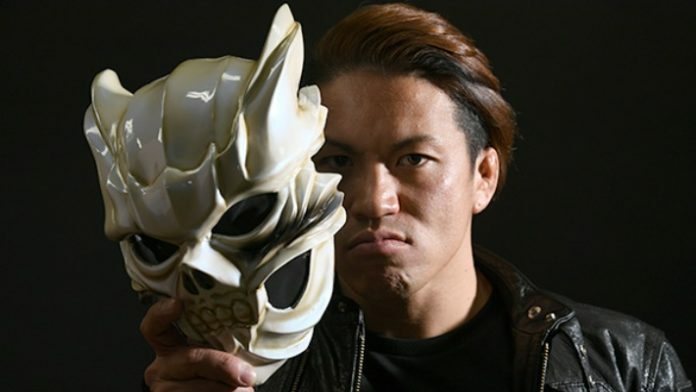 After losing to Ishimori, Liger announced he’ll retire after the Tokyo Dome show next year. Ishimori also spoke about each of his opponents coming up at the G1 Supercard. Ishimori also spoke about Dragon Lee, someone’s he’s yet to face in the ring. “We were in opposite blocks during Best of the Super Junior last year. The first time we shared a ring was when he came out at the Anniversary event,” Ishimori said of Dragon Lee.